We can all help children enjoy football more by creating the right environment. 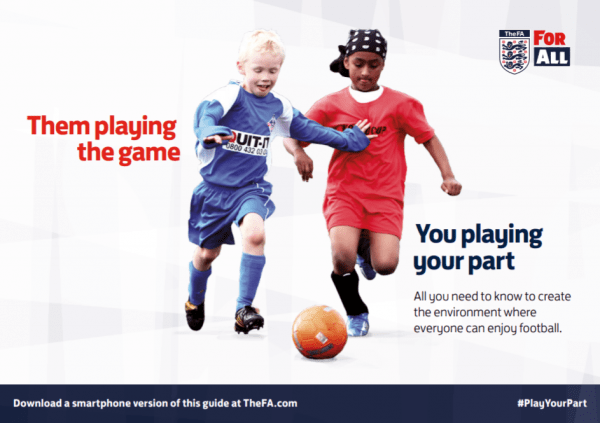 That is why The FA has produced an easy-to-follow guide to help improve the matchday experience for younger players. From introducing codes of conduct to simply providing refreshments, the guide offers plenty of tips to help every volunteer, coach or manager of a grassroots youth team. There has never been as many youth teams (over 62,000) playing across the country and we can all do our bit to ensure our young players stay in love with the game. Best of all the PDF is mobile friendly. Download by clicking this link.